Construct a LEED Silver, two‐story, 40,534 sf facility and associated site improvements including pervious and conventional paving and circulation areas, concrete sidewalks, and landscaping. Design and construct three earth-covered precast concrete munitions storage modules, a one-half munitions storage module, a new CMU munitions maintenance and handling facility and a munitions holding pad. Design and construct a new 50,000 sf Simulator Training Facility including site work, demo, steel building, masonry, finishes, mechanical and electrical systems. Construct 19,000 SF Radar Approach Control Base Operations Facility and 2,500 SF Runway Lighting Control Building, and abate and demolish three existing buildings. 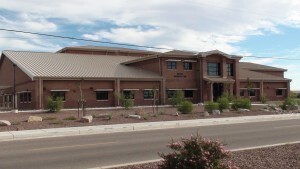 The new Base Operations building serves as the gateway to MHAFB from the flight line for VIP visitors. Design and construct a LEED Gold Certified primary pedestrian inspection addition to the Main Building, an Inbound Non-Commercial Secondary Inspection Building, high mast lighting, 8 dog kennel, export dock, two additional inbound non-commercial primary inspection booths and one inbound commercial primary inspection booth and site work including roadways, sidewalks and chain link fence. 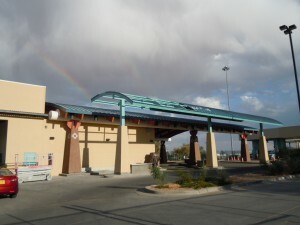 Construct LEED Silver Certified 42,274 SF Main Port Building, 10,000 SF US Border Patrol Building, 13,600 SF Garage Training Facility, Non-Intrusive Inspection (NII) Building and Non-Commercial Secondary Inspection Building to support the border crossing. 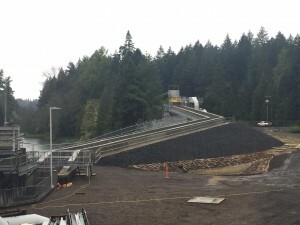 The project included extensive sitework, utilities, asphalt and, concrete paving, hazardous materials abatement, demolition and salvage. 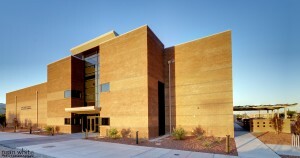 Design-Build LEED Gold certified Missile Procedures Training Operations Facility. Design-Build addition and alteration to Bldg 295, renovate Bldg 584, add Protective Canopy to Bldg 584 and convert Bldg 578 to specialized storage. Construct a 55,000sf wood frame suite-style lodging facility with 35 one-and two-bedroom units (each with a kitchen and full bath) and install utilities, roadways, parking lot, playground and landscaping.